End of the year tests loom in many of my students’ futures. Here are some tips for studying smarter. Make sure you know what is on the test or what is expected from an essay or presentation. Ask if your teacher has a study guide and if they hand one out, do not lose it! This is highly important information. Use this as the guideline for what to study. Once you have the study guide, you can use it to plan out how much time it will take to study. You can also look back at your textbook and/or notes and determine which topics you feel shaky on…Figure that out now and ask your teacher or tutor for help understanding those topics better before the test. Take time before any big test to imagine it going well. Spend five minutes a day for several days before the test imagining just how well it can go. For example, you could try this visualization before a math test: I sit down at my desk. The teacher hands out the test. I take a deep breath. I feel calm and prepared. I look at the problems: I understand them! They are easy to work through and I finish them confidently. I have just enough time to take the test and I leave feeling confident. Repeating this visualization helps you focus on how well it can go rather than worrying about how badly it can go. Visualizing a positive outcome is fantastic, but it is also important to be realistic about what you are not as strong with. If there are skills or concepts you feel uncertain about, ask your teacher if you can sit down with him or her for a few minutes to review the pieces of the upcoming test that you have questions about. Some students worry that asking questions will make them look stupid in front of the teacher. It is actually the opposite! Teachers think students who ask questions are smart because they are working to understand the material. Find out from your teacher how many problems will be on the test and how long you will have to take the test. Then you can figure out how much time you have to answer each question. This will help you manage your time the day of the test. In classes like history and science, you can use your notes, labs, worksheets, and the textbook to create a sample test. Think about what questions might be asked and then try to determine the right answers. This is a great way to study because it is more active. Studies show that just reading over notes is not a good way to study; instead, asking yourself questions about the material and answering them is a much more effective study method. If you are someone who works well with other students and can stay on task when working with friends, scheduling a study date can be a good way to prepare for a test. Quiz each other or create a game like Jeopardy to study the material. Studies show that a little studying over several days is far more effective than cramming the night before the test. Once you know the date of your exam, give yourself at least five days to study (or more, depending on how big of a test it is). Then you can study for 30 or more minutes a day rather than for six hours the night before. You will remember the material better and feel more prepared on the day of the exam. Planning ahead also helps you catch things you do not understand and gives you time to ask the teacher questions before the test. Rather than merely looking over your notes or the textbook, one of the best ways to study for math tests is to do sample problems. Take problems from your homework or notes and try to work them out again. This will prepare you well for doing similar problems on the test. For history, science, and English tests where you may be asked essay or short answer questions, create rough drafts of your answers. Include the specific points and information you will use so that you can easily recall it on the day of the test. Use your study guide or worksheets and the textbook to create sample questions for yourself if your teacher did not prepare a study guide. 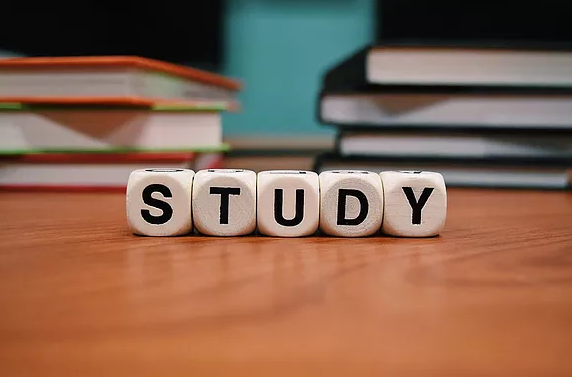 The best thing you can do the night before a test is to get to bed early and build in at least 20 minutes to do mindfulness, yoga, meditation, breathing, or any other relaxing activity before you go to sleep. Eat a good dinner and a good breakfast as well. Making sure your mind and body are prepared is important to your success. Best of luck to all my students during finals season!